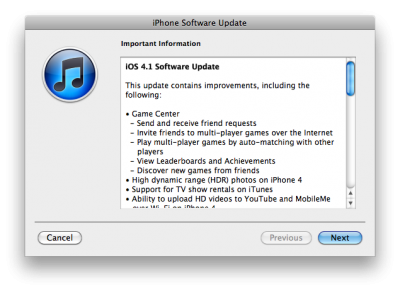 Today is the day iOS 4.1 is scheduled to be released, as leaked by the Apple UK website. It looks like the update is now live in iTunes! Time to update (do NOT update if you want to keep your jailbreak! ).